9. Put great big casters on an old tableOversized casters and other wheels are hallmarks of the industrial look. 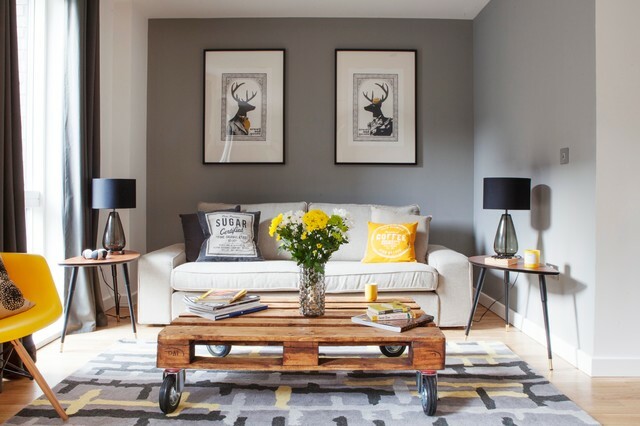 Why not put an old wooden coffee table on casters instead of spending a fortune to buy a new table? If you’re feeling especially crafty, I bet you could make something pretty amazing with a reclaimed wood table top, pipe fittings and vintage wheels.